Whether you have just heard of mindfulness meditation for the first time, have already begun dipping into mindfulness meditation recently or have been practicing mindfulness meditation for years and years, here are a few more resources relating to the subject. From mindfulness meditation videos to exercises, books, and courses, this is a compilation of resources which should help take your practice to the next level. Before we begin, just to make sure everyone is on the same page, it helps to define mindfulness meditation. For many people, the first thing that comes to mind when hearing the word “mindfulness” is meditation. Indeed, research has revealed a relationship between meditation experience and levels of mindfulness. For instance, in a study by Vinchurkar, Singh, and Visweswaraiah (2014), more years of meditation practice was found to be significantly associated with higher levels of trait mindfulness. “a technique of meditation in which distracting thoughts and feelings are not ignored but are rather acknowledged and observed nonjudgmentally as they arise to create a detachment from them and gain insight and awareness”. There are several different types of mindfulness meditations (many of which you will see if you read on), from sessions meant to be done first thing in the morning, to quick sessions meant to be done whenever one can, to longer sessions meant to aid in drifting off to sleep. Whatever type of mindfulness meditation sessions one chooses to do, the benefits of mindfulness meditation are clear. The most commonly used mindfulness meditation is the sitting meditation and the body scan. However, during the past years, different meditations have been developed and tested as well. The so-called “soles to the feet” meditation, for instance, was designed to help youngsters and people with limited intellectual abilities to deal with anger (Fix & Fix, 2013). In a similar vein, acceptance-based meditations have been found to successfully allow people to deal with emotions and cravings (Alberts et al., 2011; 2012). Importantly, however, it must be recognized that mindfulness does not equal meditation. Irrespective of formal meditation experience, dispositional mindfulness levels appear to vary among the population (Brown & Ryan, 2003). In other words, a person who has never heard of mindfulness and never meditated before can still live a very mindful life. In line with this, research has shown that meditation is just one way to cultivate mindfulness. By integrating mindfulness into everyday routines, mindfulness levels can be increased as well (see for instance Hanley et al., 2015). In our latest toolkit update, we devoted special attention to mindfulness and meditation, including traditional meditation forms as well as the novel alternatives. In this update, we also introduced a knowledge base: a searchable resource providing in-depth information on different topics. One way to examine the efficacy of mindfulness meditation is to examine the efficacy of programs which use mindfulness meditation, most popularly Mindfulness-Based Stress Reduction (MBSR) and Mindfulness-Based Cognitive Therapy (MBCT). 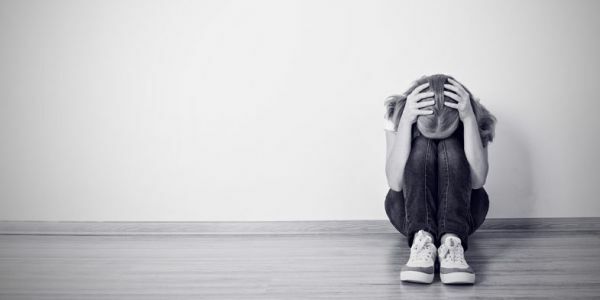 “prevent future episodes of depression in people with a history of recurrent depression” (umassmed.edu). Since many mindfulness courses revolve around MBSR and MBCT and both of those programs rely on mindfulness meditation, reviewing the effectiveness of those programs is an indirect way to review the effectiveness of mindfulness meditation. They concluded that MBSR improves mental health in “non-clinical and clinical populations”, and that it can complement traditional medicine in people who are physically ill. They also found that MBCT “is an effective and efficient way to prevent relapse in recovered, depressed patients with three or more previous episodes” (Fjorback et al., 2011). “brief mindfulness practices, and mindfulness-based interventions, can promote post-stress recovery in headache-affected populations”. Specifically, mindfulness meditation was found to help regulate the heart rates of participants with headaches after a stressful event. A meta-analysis of the effects of mindfulness meditation on people with insomnia also showed some benefits (Gong et al., 2016). For example, mindfulness meditation significantly reduced the amount of time participants spent awake as well as how long it took them to fall asleep, as well as increasing the quality of their sleep. Interestingly, another study looking at insomnia in postmenopausal women found that postmenopausal women with insomnia rated themselves as less mindful and attentive than postmenopausal women without insomnia, indicating that a lack of mindful practices may be partially responsible for the development of insomnia (Garcia et al., 2014). These two studies show that mindfulness levels can both explain the presence of insomnia as well as ameliorate the effects of insomnia. At North Carolina University, experiments were conducted using electrical stimulation on participants. The participants were given brief electrical pulses which increased and decreased in strength depending on each person’s pain tolerance. Once participants’ tolerance ratings on pain were recorded, they then practiced mindfulness meditation for 20 minutes each day over a period of three days. After those three days, participants’ pain tolerance ratings were measured again using the same method. The experiment’s results showed that participants’ pain tolerance ratings had significantly decreased since the commencement of the three-day meditation. The participants were less susceptible to pain just after three days of meditation. A similar study has been done to better understand how meditation influences the sensory experiences. Zeidan et al (2011) used arterial spin labeling fMRI to identify neural mechanisms that were influenced by mindfulness in healthy participants. The study involved 4 days of mindfulness meditation training. After this period, (through a multiple regression analysis) results showed a significant decrease of 57% in the unpleasantness of pain and a reduction of 40% in pain intensity ratings. The mediation induced reduction in pain intensity ratings were associated with an increase in activity in the anterior cingulate cortex and anterior insula. Reduction in pain unpleasantness was also found to be linked to orbitofrontal cortex activation. These findings are consistent with previous studies that have also shown when participants were taught to experience the full extent and intensity of a sensory event, meditation can reduce the unpleasantness of pain. It is thought that this is due to the enhancement of cognitive control and the reframing of the contextual evaluation. 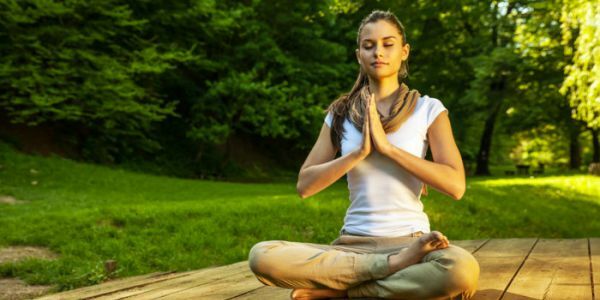 Meditation has also been associated with improved cognitions, including but not limited to working memory, visual-spatial skills and attention. The question is: Can results be experienced with only a brief amount of training, just like with the electrical stimulation experiment? So, how fast does it work? Researchers set out to test this idea in four sessions where basic mindful meditation such as breathing exercises and body awareness were fostered. Another group of participants was instructed to mindfully listen to the audio recording of the novel “The Hobbit”. After the sessions participants completed self-report measures and various cognitive tasks to see if they had improved cognitive abilities as well as effects of mood and mindfulness. Both groups improved on mood, but as expected the mindful meditation group surpassed the control group on cognitive measures (testing memory and attention) and mindful inventories. They also showed increased levels of mindfulness. These levels had previously only been found in long term meditators. This illustrates that even short-term meditation training can result in improved cognitive functioning and mood. These findings indicate that programs involving mindfulness meditation, as well as mindfulness meditation sessions by themselves, can help improve the well-being of both mentally- and physically-healthy people as well as people with mental and physical conditions. 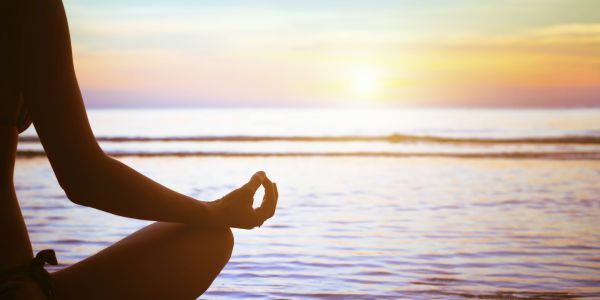 whether you have a physical or mental condition and taking medicine for it or completely healthy and not taking any medicine at all, mindfulness meditation can increase your well-being. If mindfulness meditation is beneficial for adults with varying levels of health, it follows that it should be helpful for kids as well. Fortunately, there is research available exploring this claim. According to one study, kids who had mindfulness exercises (including mindfulness meditation) built into their daily schedules felt better about themselves, were rated as more pro-social both by themselves and by peers, and had better math outcomes than kids who did not exercise mindfulness in their curriculum (Schonert-Reichl et al., 2015). This indicates that mindfulness meditation can be helpful both academically and socially for children, and should therefore be taught to children. 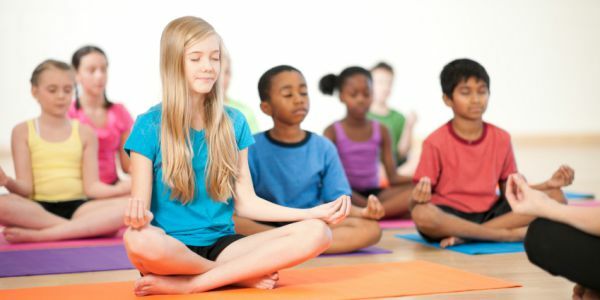 Interestingly, these benefits were found after incorporating mindfulness into the curriculum for less than an hour a week for just 12 weeks, making the implementation of similar programs very accessible to schools. Roy Hintsa, an MBSR facilitator based in Toronto, Canada says there is value in teaching mindfulness to children so they can have an easier time managing stress in adolescence. He has some tips involving teaching mindfulness meditation to children here. One useful tip from Mr. Hintsa is that younger children “tend to respond more to physical activities”, so he suggests teaching breathing meditation to young children by having them lie down and place their favorite stuffed animal on their belly. He also suggests that children of all ages will respond better to mindfulness teachings if the whole family gets involved, so he suggests parents model mindfulness by having family-based mindfulness sessions, even short ones. This can also have the added benefit of making it easier for parents to find time for their own mindfulness meditation practice. Some people are so optimistic about mindfulness meditation for children that there is currently a clinical study in progress looking at the effectiveness and cost-effectiveness of mindfulness meditation training in children with attention-deficit-hyperactivity-disorder (ADHD) as opposed to the more traditional treatment of methylphenidate (Meppelink et al., 2016). It should be stressed that the cited paper is only a study protocol and that no findings have yet been published. The fact that mindfulness meditation is even being considered as an alternative to medicine, however, shows that people are starting to understand the value of its teachings. Of course, while mindfulness teachings in the home are useful, children spend a lot of time at school. School is also the source of many different types of stressors for children (from academic difficulties to social difficulties, both playing into issues of self-esteem), meaning it is important how children spend their time in school. Mindfulness meditation in the classroom is, therefore, a crucial component of any mindfulness teachings aimed at children. MindSpace, a website concerned with mindfulness in schools which also offers its own meditation app, offers several resources for mindfulness in the classroom. One of these is called Five minutes to a Calmer Classroom, which is an easy way for teachers to introduce mindfulness meditation into their classrooms, including videos. This is available here as a PDF. Teachers can either lead a 5-, 10-, 15- or 20-minute meditation in their classrooms with this resource. The Center for Teaching at Vanderbilt University has several useful mindfulness activities for the classroom here. “instructed to silently contemplate a raisin for 10 full minutes: to take a close look at, touch, smell and, finally, taste, chew, and swallow a single raisin”. This exercise could be particularly useful in a classroom setting because it only requires a single box of raisins for an entire class. All of the activities offered by the University’s Center for Teaching are meant to be extremely low-cost (or completely free), meaning teachers only have to find the time to implement them into their curricula. The George Lucas Education Foundation also supports introducing mindfulness meditation into the classroom, and they have their justification for this here. The author points out a few key aspects of bringing mindfulness meditation into the classroom, such as suggesting that the teacher have their own meditation practice before introducing it to their students, as well as providing multiple meditation options for students to try out. The author also stresses the importance of being consistent, such as using the first five minutes of every class period for meditation sessions. The Body Scan is an aspect of mindfulness meditation which involves becoming aware of your physical self during meditation. A 30-minute introduction to body scan meditation (including a guided audio meditation) can be found at Mindful.org . Mindful claims that the body scan can “enhance your ability to bring your full attention to real-time experiences happening in the present moment” and help you “feel what’s going on in ‘body-land’ without trying to fix or change anything”. The University of California at Los Angeles’s Mindfulness Awareness Research Center (MARC) offers several guided meditations for free, including a short body scan meditation (three minutes long) and a longer (thirteen minutes long) body scan meditation for sleep. The MARC also offers a few guided meditations in Spanish, although none of the Spanish-language meditations involve the body scan. For those looking for still longer guided body scan meditations, the University of California at San Diego Health Department’s Center for Mindfulness offers several guided audio meditations here. These include several 45-minute body scans as well as shortened versions of the body scan which clock in at 20 minutes. These guided body scan meditations are led by different people which is why there are several different versions of similar-length guided body scans, including two 30-minute body scans available in both English and Spanish. While there are several different online resources available for mindfulness meditation, some people might still prefer on-site training. The easiest way to find mindfulness meditation training centres around you is simply searching for “mindfulness meditation [your location]”. There are a few tools out there, though, that do the work for you and show you centres based on your location. These tools do the vetting for you as well, as they only show mindfulness meditation centres and teachers approved by the sites, as opposed to Google which just shows all results. For people living in the United Kingdom, Be Mindful offers a handy tool where you can find mindfulness training centres and courses near you. You just type in your postcode and Be Mindful does the rest. For people living in the United States, the McLean Mindfulness Institute offers a similar tool where you can search by state or by city. There are also options for Australia, Canada, China and New Zealand, though there are many more teachers based in the United States. 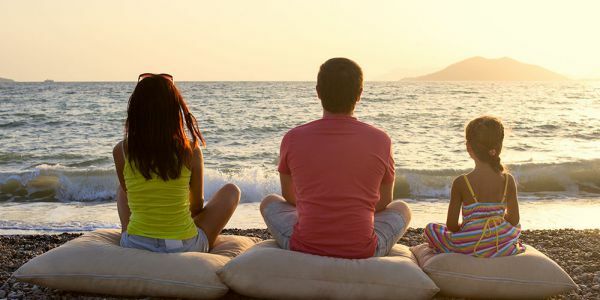 If you are in the United States and prefer a mindfulness meditation retreat, this article lists several different options around the country. It should be noted that retreats are not meant for beginners, but rather experienced meditators looking to deepen their practice (or even begin on the road to teaching mindfulness meditation to others). If you are specifically looking for an MBSR course near you, the University of Massachusetts Medical School has a useful tool where you can search for MBSR-certified teachers based on your location here. This tool searches for courses across the world, and a few sample searches were able to turn up certified MBSR teachers based in every continent around the world (well, except for Antarctica). If you prefer reading books on a subject over internet articles or on-site training, here are the top 7 books on mindfulness meditation to further your learning. 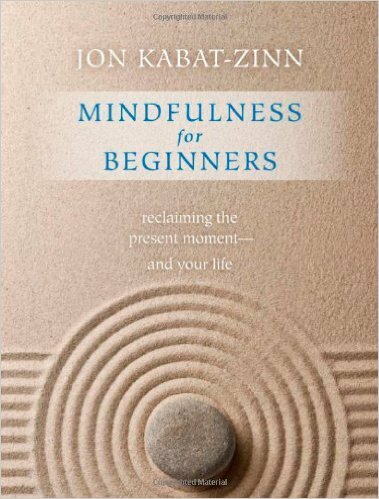 Mindfulness for Beginners: Reclaiming the Present Moment – And Your Life By Jon Kabat-Zinn: This book, by Jon Kabat-Zinn (the founder of MBSR and the Center for Mindfulness at the University of Massachusetts Medical School, whose name will come up a few more times here) serves as an introduction to mindfulness and mindfulness meditation for beginners. Guided Mindfulness Meditation: A Complete Guided Mindfulness Meditation Program from Jon Kabat-Zinn by Jon Kabat-Zinn: This book by Jon Kabat-Zinn (I said his name would come up again, didn’t I?) serves as a complete mindfulness meditation program that anyone can complete from the comfort of their homes. It comes with an accompanying CD that walks readers through the program. If one cannot go take some sort of mindfulness meditation class in person, this might be the next best thing. Mindfulness in Plain English by Henepola Gunaratana: Henepola Gunaratana brings his 50+ years of experience as a Buddhist monk to this book, which serves as an introduction to mindfulness and mindfulness meditation. He has also spent years teaching mindfulness in the United States and lecturing on mindfulness in the United States, as well as throughout Europe and in Australia. This means he is uniquely qualified to teach mindfulness and mindfulness meditation to a Western audience. Insight Meditation: A Step-by-step Course on How to Meditate by Sharon Salzberg and Joseph Goldstein: This book serves as a complete kit for mindfulness meditators, beginners and experienced meditators alike. From twelve lessons including guided mindfulness meditation CDs to an 88-page interactive workbook, this book can help aspiring mindfulness meditators on their journey in many ways. The Miracle of Mindfulness: An Introduction to the Practice of Meditation by Thich Nhat Hanh: This book serves as an introduction to mindfulness meditation not by offering guided meditation sessions, but by suggesting all the different times in your daily life that you can practice mindfulness meditation. This includes such times as washing the dishes and peeling oranges when you are unlikely to be doing anything else anyways. This book can be useful to those who want to get into mindfulness meditation but do not understand how they can fit it into their lives. 100 Mindfulness Meditations: The Ultimate Collection of Inspiring Daily Practices by Neil Seligman: This book by Neil Seligman (no relation to the founder of positive psychology, Martin Seligman) consists of 100 mindfulness meditation options which any practitioner can undertake, including activities and games. These are broken up into Foundations for Mindfulness Practice, Applying Mindfulness in Daily Life, and Advanced Practices. This book can serve anyone who is looking to broaden their mindfulness meditation practice, making it suitable for practitioners of all experience levels. 8 Minute Meditation Expanded: Quiet Your Mind. Change Your Life by Victor Davich: This book, an extended version of a very popular classic meditation book introduces people to mindfulness meditation in just eight minutes a day. This amount of time is short enough for anyone to begin practicing mindfulness meditation. The book can also be paired with a CD (sold separately) which includes guided meditations, though the CD is not necessary to enjoy the teachings of the book. While guided mindfulness meditation videos and audio sessions can be helpful, some people might prefer to have a script which they can work through themselves. One idea is to record yourself reading the script and then play it back while you meditate. This can be helpful for people who prefer listening to reading, as well as people who might feel less distracted by their own voice rather than someone else’s. Here is a script for basic mindfulness-meditation practice. This script is short and meant for general mindfulness meditation. Here is another mindfulness meditation script, called mountain meditation. It is adapted from a Jon Kabat-Zinn meditation script, and a free audio reading of the script can be accessed from a link in the PDF. If you prefer a body scan meditation script, here is one. This script is meant for much longer meditation sessions that should take around 40 minutes. The UCLA MARC offers several guided meditations for free, as mentioned earlier. All of these guided meditations, while available in audio format, are also available as scripts in PDF format. These include breathing meditations, body scan meditations and others, so the site is worth checking out for anyone looking for mindfulness meditation scripts. Headspace: The Headspace app, available for iOS and Android, is a popular app (endorsed by Emma Watson, among others) which guides you through daily meditation 10 minutes at a time. The app is free to download and get started with for 10 days, but eventually, you will have to start paying monthly for a subscription. Smiling Mind: The Smiling Mind app is a completely free app (there are no in-app purchases or subscription models) for mindfulness meditation developed by a non-profit. The app was originally aimed at kids, but there are options for all age groups. It is available for both iOS and Android, as well as in web app form. Smiling Mind has modules available for personal well-being, for education, as well as for the workplace. Insight Timer: The Insight Timer app is not necessarily for beginners. Instead, this app is targeted at experienced meditators as it lets you set a timer for meditation sessions, after which it will gently let you know time is up. Beginners can find value in the app, however, as it does offer a number of free guided meditations. If you prefer to do your own research, a study looked at the efficacy of several mindfulness-based iPhone apps (Mani et al., 2015). After looking at 560 different mindfulness apps available for the iPhone (focusing on apps in English), the study concluded that Headspace was the highest-rated, followed by the Smiling Mind app. The apps were rated on “engagement, functionality, visual aesthetics, information quality and subjective quality”. Some people might prefer guided mindfulness meditation sessions in the form of videos. These are the top 11 YouTube videos on mindfulness meditation. As these are on YouTube, they are all completely free and accessible on all sorts of devices. Jon Kabat-Zinn: Body Scan: This is a 30-minute guided meditation from Jon Kabat-Zinn which seems to be mostly aimed at beginners. More experienced meditators might find Kabat-Zinn’s comments to be distracting, but beginners should find it useful as a way to become familiar with mindfulness meditation. 10 Minute Guided Body Scan Meditation from The Meditation Coach: This is another guided meditation focusing on the body scan, though it is only 10 minutes long. If the above mindfulness meditation video seems too long for you to try, give this one a listen. Mindfulness Meditation – Guided 10 Minutes: This is a guided meditation from a group called The Honest Guys which lasts 10 minutes. The audio of this meditation can be downloaded for $1.49 and found in the information of this video. Guided Meditation for Detachment From Over-Thinking (Anxiety / OCD / Depression): This is a guided meditation which is much longer than the other ones listed so far, with a length over 40 minutes. The video makers claim that the meditation can either be used for drifting into sleep or in the middle of the day. The audio of the track can be bought for $3.49. 8 HOURS Zen Buddhist Meditation Music for Deep Sleep, Mindfulness Meditation and Relaxation: This video makes the last one look short, as it tops out at just over 8 hours. 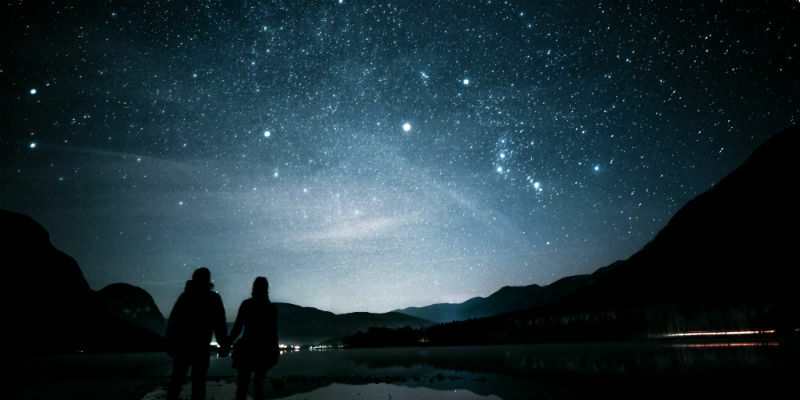 It is meant to aid in deep sleep, although some commenters have pointed out that the video contains piano which is not usually an aspect of Buddhist meditation. 1 HOUR Mindfulness Meditation with Healing Flute Music Instrumentals, Chakra Reiki Music: This video is a bit shorter than eight hours, but at one hour it can still serve as music for long, deep mindfulness meditation sessions. It is not guided, so beginners might not find much use in it, but experienced mindfulness meditators may appreciate the soundtrack. 3-minute Mindful Breathing Meditation: This is a guided meditation focusing on mindful breathing. At just three minutes, it can help people who do not have much time for meditation in their daily schedule. It can also serve as an introduction to mindfulness meditation for people who feel like they might burn it out by committing to a longer introduction. Mindfulness Meditation – A Complete Guide With Techniques & Examples: This video is not just one guided meditation as some of the others on this list are, but rather an overview of a few different meditation techniques, as well as guided examples of some of these techniques. This video can serve as an introduction for beginners who are trying to start mindfulness meditation but are not sure how to do so. How mindfulness meditation redefines pain, happiness & satisfaction | Dr. Kasim Al-Mashat | TEDxSFU: This video is a little bit different, as it is not a guided meditation but rather a TED talk about the benefits of mindfulness meditation. This is a good video for anyone who is hesitant about trying mindfulness meditation or unclear about its benefits. Guided Mindfulness Meditation for the Morning: Starting the Day (15 minutes): This is a guided mindfulness meditation session which is meant to be listened to first thing in the morning. It is only 15 minutes long, so should fit into anyone’s schedule, no matter how busy it is. By suggesting you listen to it first thing in the morning, it also makes it easy for people who are trying to get into mindfulness meditation for the first time. Overcome Cravings: Guided Mindfulness Meditation: Finally, this video is a 10-minute guided mindful meditation session for people who are looking to overcome addictions such as smoking. The guided meditation starts at four minutes. No matter how deep your mindfulness meditation practice is, inspiration never hurts. Here are some of the most inspiring quotes on mindfulness meditation, in no particular order. Some of us learn best through audio and can absorb the most information just by hearing it. Here are some podcasts relating to mindfulness meditation practice. Mindfulness Meditation Podcast by The Rubin Museum of Art: The Rubin Museum of Art in New York holds weekly mindfulness meditation sessions led by prominent New York-based meditation teachers. For those who can’t make it in person, they produce a podcast of these meditations. This podcast is a good opportunity to sample different meditation teachers and see which ones you like. Weekly Podcast at the Hammer: The MARC at UCLA offers a free weekly guided meditation at their Hammer Museum. For those who can’t make it, they upload these meditations to their website in podcast form for free. Not all of these are mindfulness meditations, but a significant number of them are (and are clearly marked as such). This podcast is led by the same person every time, so some people might prefer it to the Rubin Museum’s podcast if they like consistency. If you prefer audio to listen to while meditating on your own (but do not prefer guided meditations), here are a few options. Rainy Mood: Rainy Mood is a website that simply delivers the sounds of a rainstorm, which some may find helpful in their practice. They also offer a paid app for iOS and Android, but the website is completely free. Keep in mind that the rainstorm track loops every 30 minutes, which may be distracting for longer mindfulness meditation sessions. Mindfulness Meditation & Self Acceptance | Free Relaxation Music for Positive Thinking: This YouTube video is an hour of mindfulness meditation music some might find useful. The video information includes a link to buy the track on iTunes if you like it. 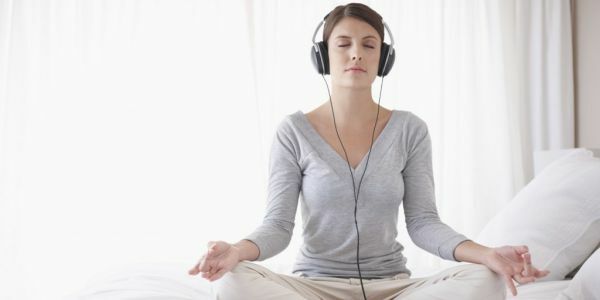 Music for Mindfulness: Music for Mindfulness is just what it sounds like. 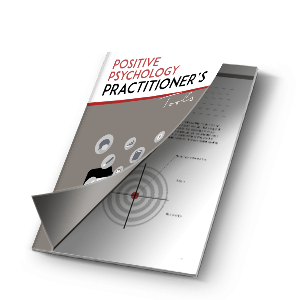 It is a collection of pieces to aid you in your practice which can be purchased and downloaded. Each piece can be sampled for two minutes for free, however, which means you can decide if it would be helpful for your practice or not before having to spend any money. As the benefits of mindfulness meditation continue being identified by more and more people, so has the potential of mindfulness meditation for pain relief, stress relief, and the treatment of depression. “mindfulness meditation programs had moderate evidence of improved anxiety… depression… and pain” and that “meditation programs can reduce the negative dimensions of psychological stress”. “can be recommended as an adjunct to standard care or self-management strategy for major depressive disorder and PTSD”. Mindfulness meditation as a method of pain relief has a number of proponents. One article pointed to two randomized trials that show mindfulness meditation’s effect on relieving back pain, and argues that mindfulness meditation should start being looked to as an alternative to opiate prescription (Jacob, 2016). Interestingly, a paper looking at the mechanism of action of mindfulness meditation-induced pain relief found that it does not rely on the same mechanisms as opioid pain relief (Zeidan et al., 2016). This means that mindfulness meditation can perhaps be used in concert with opiates for extreme cases, and that people can use mindfulness meditation for pain relief without having to worry about it dulling the effect of their medicine. It is clear from the above findings that mindfulness meditation practice is a viable treatment option for pain, stress relief and depression. This should not be surprising, considering the existence of MBSR and MBCT programs, although the pain relief findings show just how wide-ranging the benefits of mindfulness meditation are. As this resource has explored several different ways to learn and practice mindfulness meditation, it should be clear that there is no single right way to do it. Instead, anyone looking to practice mindfulness meditation should find the techniques and methods which work best for them and their daily schedules. Whether you have the ability to visit an on-site training centre or prefer to learn about mindfulness meditation in the comfort of your own home, there are several different ways to do so. Find what you are most comfortable with so mindfulness meditation can benefit your life as much as possible. It should also be clear from all the different options presented above that mindfulness meditation can be practiced no matter what your daily schedule looks like. For example, many of us have smartphones which can guide us through mindfulness meditation sessions no matter where we are. Even if you do not have a smartphone, a mindfulness meditation book can be carried around and read whenever you have time. There are also guided meditation sessions of all different lengths mentioned above, meaning that no matter how busy you are, you can fit mindfulness meditation into your life if you wish to do so. Alberts, H., Schneider, F., & Martijn., C. (2011). Dealing Efficiently with Emotions: Acceptance-based Coping with Negative Emotions Requires Fewer resources than Suppression. Cognition and Emotion, 26, 863-870. Alberts, H. J.E.M., Thewissen, R, & Raes, L. (2012). Dealing with problematic eating behaviour. The effects of a mindfulness-based intervention on eating behaviour, food cravings, dichotomous thinking and body image concern, Appetite, 58, 847–851. Brown, K.W. & Ryan, R.W. (2003). The benefits of being present: Mindfulness and its role in psychological well-being. Journal of Personality and Social Psychology 84, 822-848. Fix, R.L. & Fix, S. (2013). The effects of mindfulness-based treatments for aggression: A critical review. Aggression and Violent Behavior, 18, 219-227. Hanley, A., Warner, A., Dehili , V., Canto, A., & Garland, E.L. (2015). Washing the dishes to wash the dishes: Brief instruction in an informal mindfulness practice. Mindfulness, 6, 1095-1103. Vinchurkar, S. A., Singh, D., & Visweswaraiah, N. K. (2014). Self-reported measures of mindfulness in meditators and non-meditators: A cross-sectional study. International Journal of Yoga, 7, 142–146. Thanks, Joaquin for spending your precious time writing this amazing article. I’m sure that it will help lots of people improve things that are causing them some harm. Congratulations. Greetings from Brazil! Joaquin, this is such an amazing list of free mindfulness exercises and resources! Thank you!